Having a baby is such a magical, rewarding, beautiful experience and your little bundle of perfection deserves the absolute best. Since they sleep all the time, completely silently, they need a bed that feels like a cotton wool. Parenting is just so easy… Right? I’m sure if you have actually had children, you know that most of that is not true. Babies are tough! If you are in a position where the title of this article has drawn your attention, your whole life has probably turned upside down. I can’t step through the screen and usher you through to your bed while I take care of your new addition, I can talk you through what to look for in a good cot bed. While most of what I said at the beginning isn’t true, I was being honest when I said that your children deserve the best and I want to help take the work out of making that decision, since you already have enough on your plate! I’ve gathered some great information that will answer any questions you might have and I’ve reviewed the best cot beds available, as well as given you links so that you can buy them online. So get comfortable, put something good on the telly and relax! 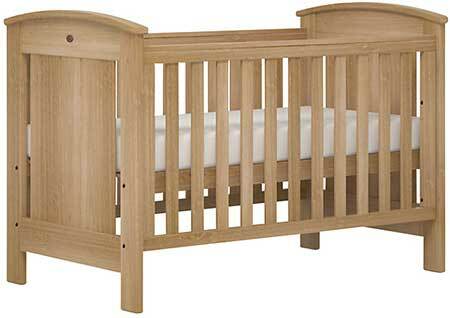 A cot bed is generally longer and wider than a cot. A cot bed has removable sides. These are both great reasons for opting for a cot bed, since it will accommodate how quickly your child will grow. The removable sides are brilliant because, when your child is old enough, they can be taken off and you’ve got a toddler bed. You didn’t even have to leave the house! Not having to buy more than you need to is also a big asset to any parent or carer. 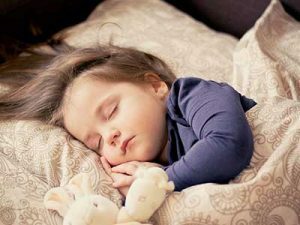 When can my child use a cot bed? 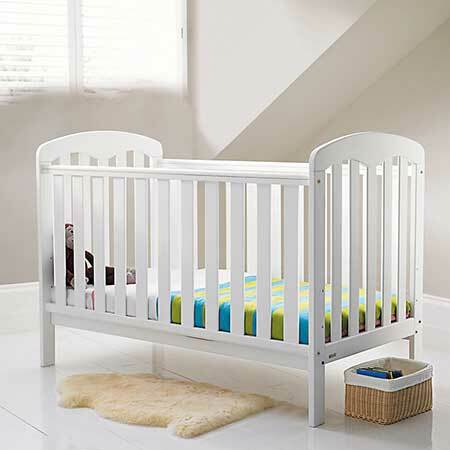 Your child can use a cot bed from birth right the way through to around five years old, depending on how big they get. That’s right, from birth to five years old. This makes a cot bed much better value than a cot. It’s like those jumpers everyone got handed down to them at some point, that their mum promised they’d grow into. Except in this case, it’s true. What should I look for in a cot bed? My wife is not the tallest woman in the world. There’s no way that she would manage with a lot of traditional cots that are out there, since the mattresses are usually a lot lower than you think. This makes it much more difficult to put your child safely to sleep, especially if you’re recovering from the birth in the early days. Having adjustable mattress heights makes it easier on everybody. If you can adjust how close to the ground the mattress is, there’s no reaching, stretching or ‘dropping’ involved. If you’re using an adjustable mattress height, then it shouldn’t be kept on the highest setting (when the mattress is furthest from the ground) all the time. You should lower it when your baby starts grabbing at the sides to pull themselves upright. This way, you minimise the risk of them pulling themselves out of the cot bed and falling onto the floor from a height. Once again, I was telling the truth when I said that your child deserves the best. You definitely don’t want to hear a crash in the middle of the night, to find your toddler sitting in a pile of kindling! 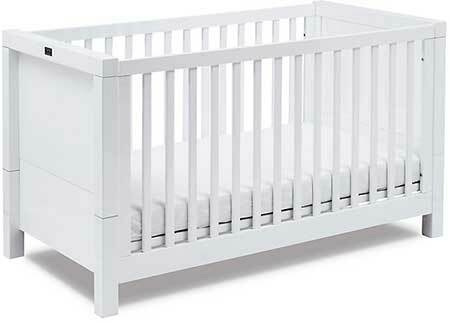 All of the cot beds that I’ve recommended are available to buy at John Lewis. Their product standards are very high, so you can rest easy knowing that your child will get a sound, safe sleep. If you do opt for other options, do your research and read reviews. Sounds a bit silly, but don’t forget the mattress! 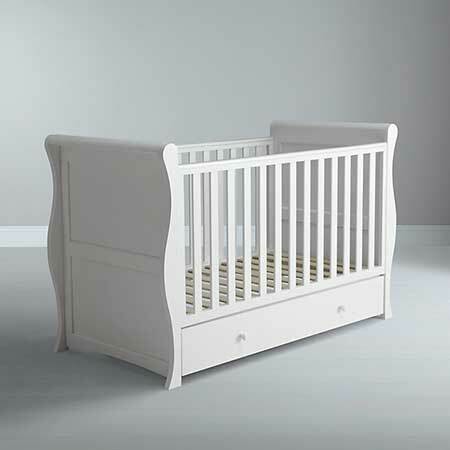 Most cot beds don’t actually come with a mattress, so it’ll need to be bought separately. If this is something you’ll need, I’ve got a guide for choosing the best cot bed mattress, so definitely give it a read. I’m sure you’ve gotten yourself comfortable by now and it would be a bit mean to ask you to do some work. So I’ve put together the five best cot beds, so you don’t have to compare. Each one has a short review, with a link that will let you buy it online. This is a John Lewis cot bed and it’s just as sturdy as you’d want. It’s easy to assemble, so there’ll be no temper tantrums from anybody and there is even space underneath the actual bed which you can use as storage. This cot bed has three different mattress heights, which makes it extremely practical. The simple design also means that it will fit in well with any bedroom theme, whether it’s farmyard, fairies or fire engines. Silver Cross have been the standard for quality baby products since 1877. While their cots and prams look fashionable, their history means they can be trusted. They know what they’re doing! 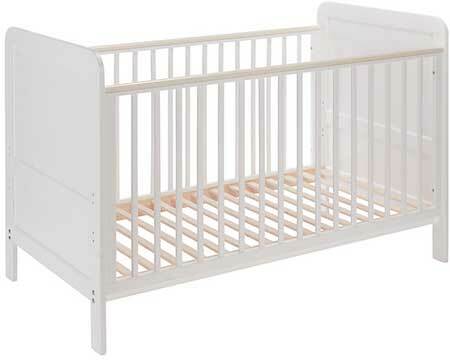 Again, this is a sturdy, safe cot bed that will see you child through their early years. The design of this cot bed also means that when the time comes to turn it into a toddler bed, the end panels can be made smaller. This gives it the look of a more traditional bed – something that might help your little tyke settle into their ‘big bed’ since it’ll look more like your own. I would say that this is one of the safest cot beds on the list. It’s a very strong build and is made out of solid pine. Like the Alex Cot Bed, this also has storage built in underneath – useful for all the essential toys that your child will file in there! Other similarities to the Alex Cot Bed include the ease of putting it together and the three different mattress heights. The look of this one is also superb, it’s extremely attractive. 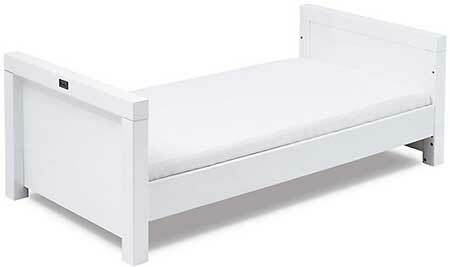 Another John Lewis cot bed and another cot bed with three mattress levels, which means a smooth bedtime for your child. John Lewis also provide the solid construction that you’re looking for. A big plus of this cot bed are the different end panels that come with it. They can be swapped out when you want to make it into a toddler bed, avoiding having ends that are way too big. This cot bed is the big kahuna: all 43kg of it! While this means that it’s extremely safe, it does make moving it around a real pain. Unless you’re a lot stronger than I am! This one has two mattress levels rather than the three that most others come with. This is definitely luxurious and will last extremely well, but I do think it’s a bit on the pricey side. What if I still don’t know what cot bed to buy? I appreciate that this is a big decision, since all of us want to do the best by our kids. If you’re a bit stuck, let me know in the comments and I’ll be able to help. I’m looking for a cot bed 140×70 mattress. It needs to have adjustable mattress heights, teething rails, converts to toddler bed but not have high ends, it also needs to have a drop side. I don’t want to spend over £200 (not including mattress). I think the John Lewis Alex Cot Bed should have everything you’re looking for.